Dubai: At least 18 expatriates have been named among the 100 most influential women in the UAE and the rest of the Arab world, proving that the female gender can make huge career strides while working overseas. 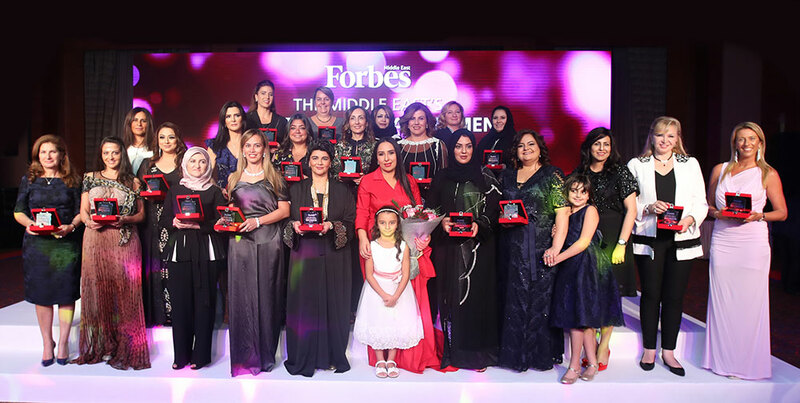 The Forbes’ Most Influential Women for the Middle East 2018 has recognized for the first time successful expat females who have scaled heights in their jobs, and among those recognized are from India, Malaysia, United Kingdom, France, Germany , Australia, United States and South Africa. Forbes' latest recognition pays tribute to 100 women who either work for major companies or run their own business, a strong indication that women have broken the proverbial glass ceiling and advanced across industries, including oil and gas, banking, automobiles and fintech. Most of the women are leaders in the organisations, occupying positions like CEO, CFO and president. Ten other females heading government departments across the region have also been recognized. "The region is undergoing a paradigm shift with women-led businesses dominating major sectors. Countries like the UAE and Saudi Arabia have showcased most gender diverse cabinets and the landscape is ever evolving," said Khuloud Al Omian, editor-in-chief of Forbes Middle East. Out of the 18 expatriates who made it to the list, 16 of them are based in the UAE. At the top of the list of expat women is UAE-based Renuka Jagtiani, the Indian CEO of retail conglomerate Landmark Group. Jagtiani was named the third most influential woman in the region. Social media influencer-turned-entrepreneur Huda Khattan, also based in the UAE, bagged the ninth place. The American-Iraqi national is the founder and CEO of the billion-dollar cosmetics brand Huda Beauty. Rafiah Ebrahim, a Malaysian expatriate in UAE who currently serves as the president for Ericsson Middle East and Africa, landed the 13th place., followed by British CEO Asil Attar of Alyasra Fashion in the 29th place. Another UAE expat from France, Celine Bremaud, vice president for Microsoft Middle East and Africa landed the 33rd position, and Carmen Haddad, German CEO for Citi’s Private Bank Family Office Middle East and Citibank Saudi Arabia came in the 35th place. Indian expatriate Shrimati Damal, CFO of UAE retail conglomerate Majid Al Futtaim, bagged the 40th place, while Donna Benton, Australian founder and chairman of another successful UAE-based firm The Entertainer, took the 51st spot. Also based in the country, American expatriate Donna Sultan, president and CEO of KEO International Consultants, emerged as the 52nd most influential woman, followed by Indian national Zanubia Shams, co-chairperson of Zulekha Healthcare Group, in the 58th place. Another British expatriate, Cynthia Corby, partner audit and assurance at Deloitte, landed the 63rd position, while Poonam Bhojani from India, CEO of Innoventures, took the 65th place and Alida Scholtz from South Africa, CEO Middle East for G4S Security Services, emerged in the 68th position. All of them are also based in UAE. 27..Elissar Farah Antonios, CEO, Citibank U.A.E.